Win up to £100,000 with The Health Lottery – and help fund fantastic causes in Derbyshire. That’s because HealthCalm CIC raises money through The Health Lottery for where it’s needed most in Derbyshire, delivering funding to projects at the heart of our local community. So far more than £1.6 million raised by HealthCalm CIC has supported over 30 vital causes in Derbyshire. Where does the money raised by HealthCalm CIC go in our area? Money raised through The Health Lottery has helped support Derbyshire branches of the Youth Sport Trust and The Conservation Volunteers. When you play The Health Lottery, you keep these vital services going – and help kick-start home-grown initiatives aimed at improving the health and happiness of our community. 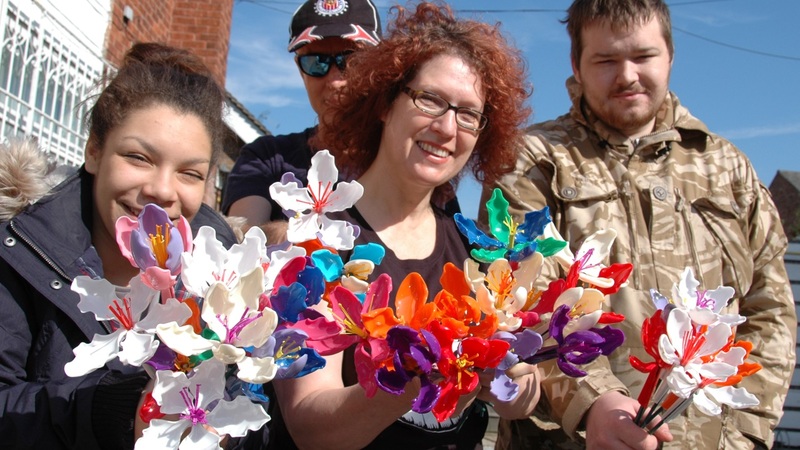 £20,192 to Long Eaton Art Room, a craft club for adults in the local area.